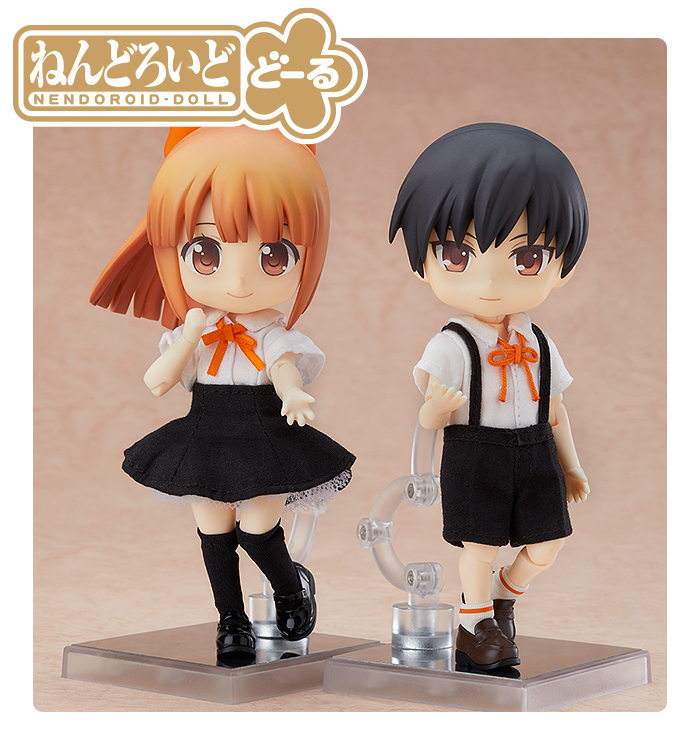 The Nendoroid series is a series of palm-sized figures with a "chibi" design from various different anime series, games and more! 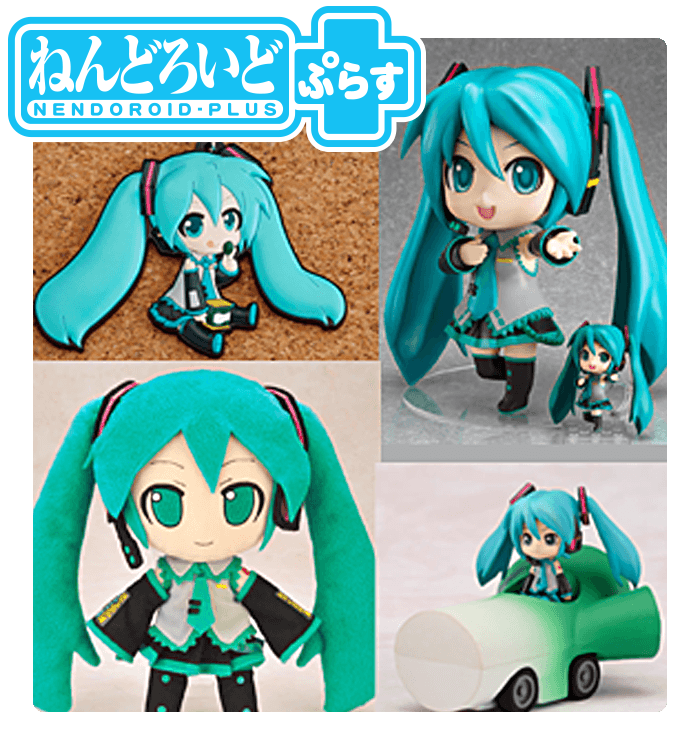 Collect, display and play with your favorite characters in their adorable Nendoroid form! 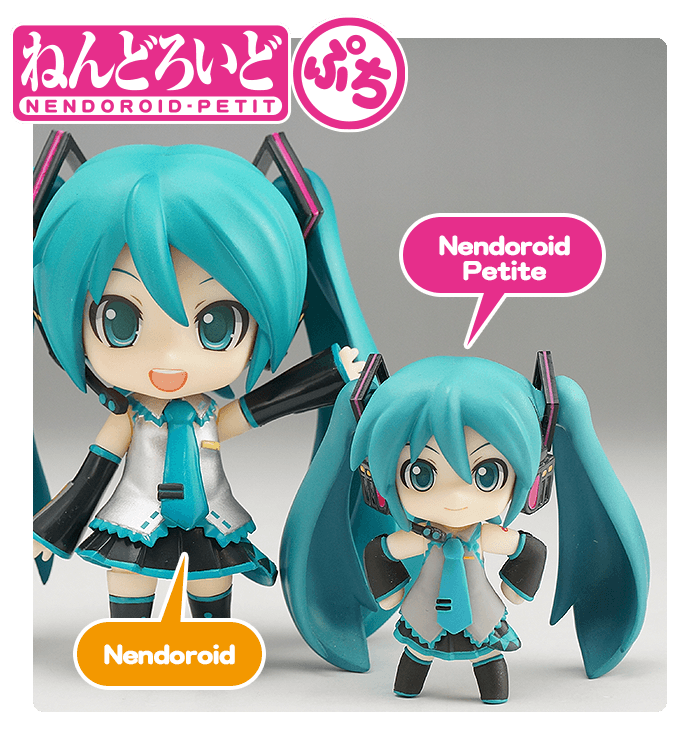 Nendoroid Petite series are smaller figures, about 65mm in height each. They're a little smaller, but just as fun to collect! 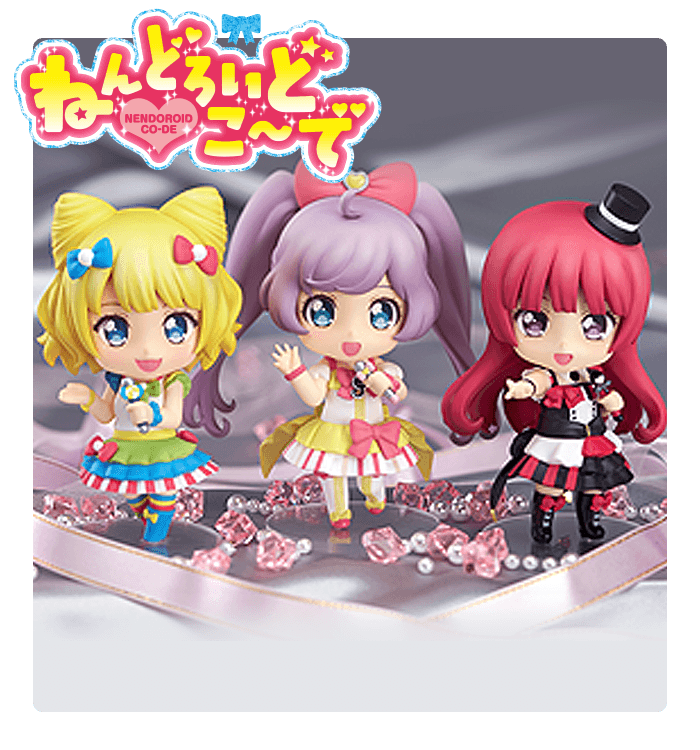 Nendoroid PLUS series has straps, plushies and more with designs based on Nendoroid illustrations! Just as cute, just in different forms! 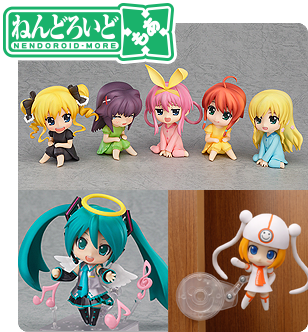 Nendoroid MORE series has alternate outfits, extra parts and even clip and suction stands! 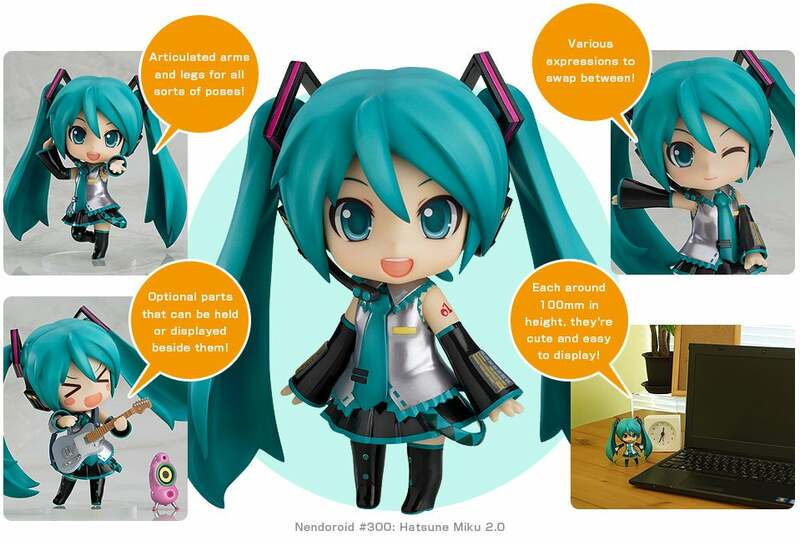 Make Nendoroids even more enjoyable!